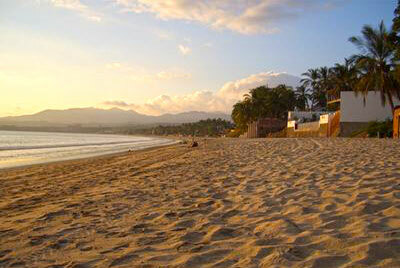 There are plenty of hidden gems in the Banderas Bay region for you to visit during your vacation in Puerto Vallarta. You can savor the peace, quiet, and lush landscapes of the area as you explore authentic fishing villages and charming colonial towns. Bucerias is located about 10 miles from Puerto Vallarta airport and stands out for its virgin beaches offering stunning romantic sunsets. 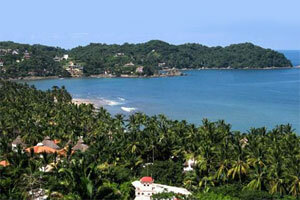 The accommodations in Bucerias are normally more affordable than the hotels in Puerto Vallarta. The restaurants here are excellent and generally specialize in international cuisine and seafood. With a relaxed atmosphere, the town is ideal for a romantic vacation, for admiring the countryside on horseback, or for a fun tour on the beach. La Cruz de Huanacaxtle is located less than six miles from Bucerias and is an ideal place to unwind and take in the peaceful setting. If you're looking for an authentic cultural experience, then don't miss out on the art events and festivals in the town. If you're looking for excitement then you'll enjoy the adventure tours or rides on horseback, while if you're a fitness fanatic you'll love the tennis courts, golf club, and yacht club. There's a reason why many foreigners choose to live here! 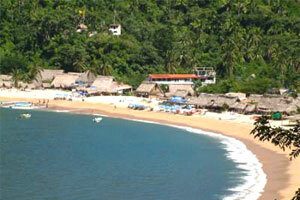 Yelapa is a traditional fishing village at the foot of the mountains, approximately 25 miles from Puerto Vallarta. This idyllic setting is the ideal place for swimming in the ocean, snorkeling, hiking in lush mountains and forests, and enjoying the slow-paced lifestyle of the village. Yelapa can only be reached by boat, making it recommendable to take a full Majahuitas and Yelapa tour, which currently includes food, drink, and activities. 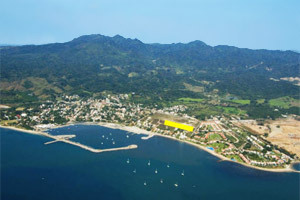 Higuera Blanca is a colonial town about two miles from Litibu, a small fishing village located 45 minutes to the north of Puerto Vallarta. 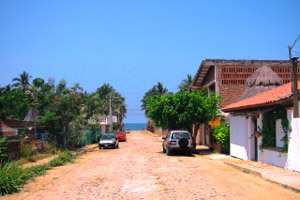 Both places are close to the luxurious hotels in Punta Mita, yet have conserved their picturesque streets, traditional Mexican atmosphere, and friendly inhabitants, along with a peaceful and carefree lifestyle. 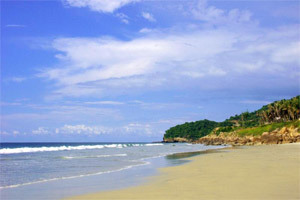 Located just a short distance to the north of Punta Mita, Sayulita is a small village with increasing tourist activity. Here you'll find colorful restaurants lining the green streets, serving typical cuisine and tasty seafood. There are also places to try water sports and to take surfing lessons. The village has beautiful beaches and friendly inhabitants, along with an attractive array of local handicrafts that make for excellent souvenirs.